Assemble, install, or maintain solar photovoltaic (PV) systems on roofs or other structures in compliance with site assessment and schematics. May include measuring, cutting, assembling, and bolting structural framing and solar modules. May perform minor electrical work such as current checks. 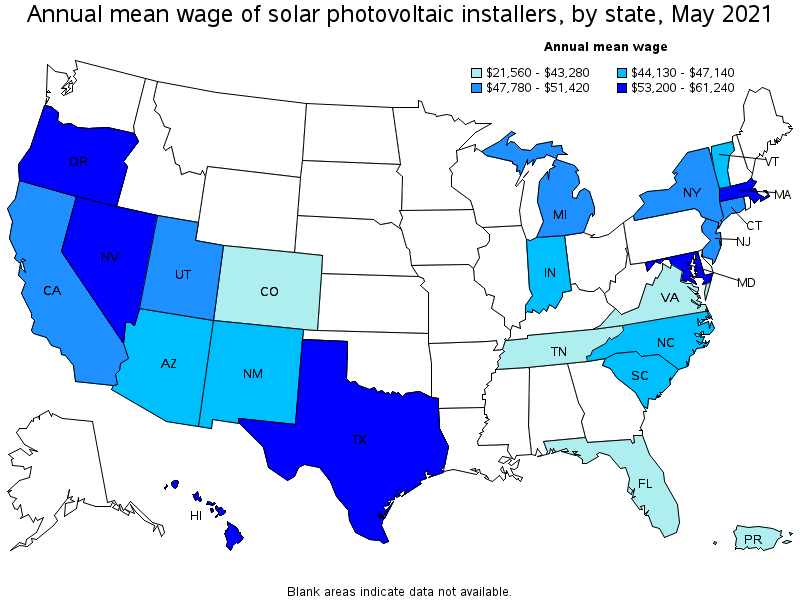 Excludes solar thermal installers who are included in "Plumbers, Pipefitters, and Steamfitters" (47-2152). 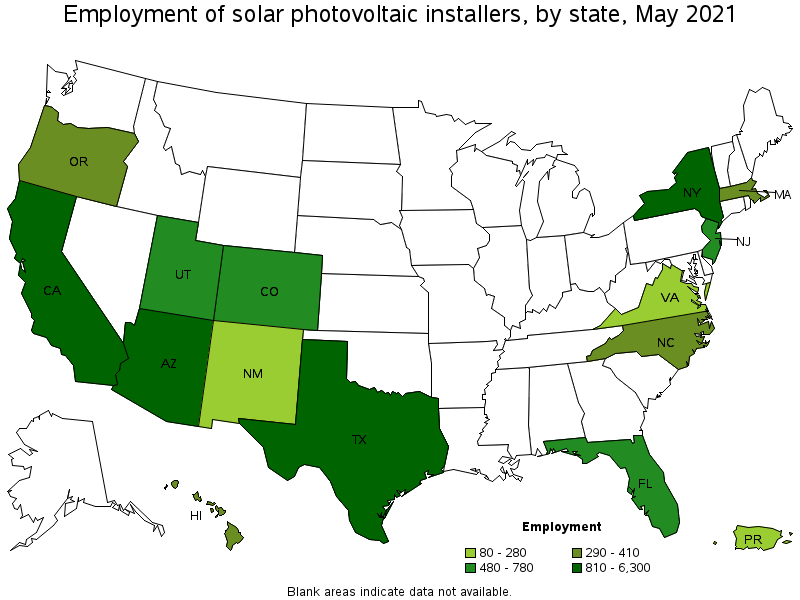 Excludes solar PV electricians who are included in "Electricians" (47-2111).